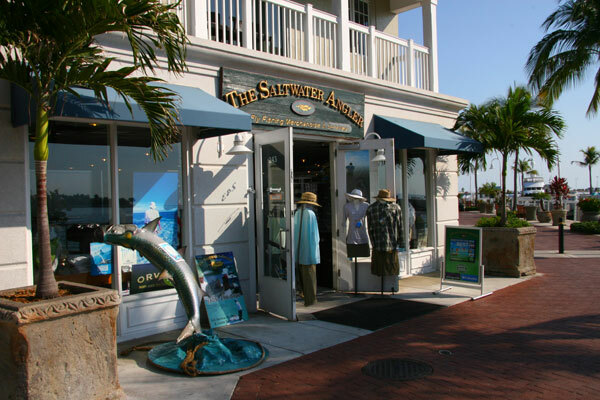 We are located at the Westin Key West Resort & Marina, on Front Street. There is a parking garage adjacent to the building. We can validate your parking for one hour with any purchase. Exit MIA and follow the signs to Rt. 836 West. Take 836 West to the Florida Turnpike (Rt. 821) South until it ends at Florida City. You will then be on US 1 South. Take US 1 South approximately 120 miles. Key West is the last island on US 1. Turn Right onto the island and follow N. Roosevelt Blvd. through four stop lights. At the fouth light is Charterboat Row. Turn Right onto Palm Avenue. Palm Avenue turns into Eaton Street. Follow Eaton past Duval Street to Whitehead Street. Right on Whitehead Street. Follow Whitehead to Front St. and turn Left onto a one-way road. The Clinton Square Mall and Customs House (Red Building) will be on your right. The Hilton Resort and Marina is on the right.